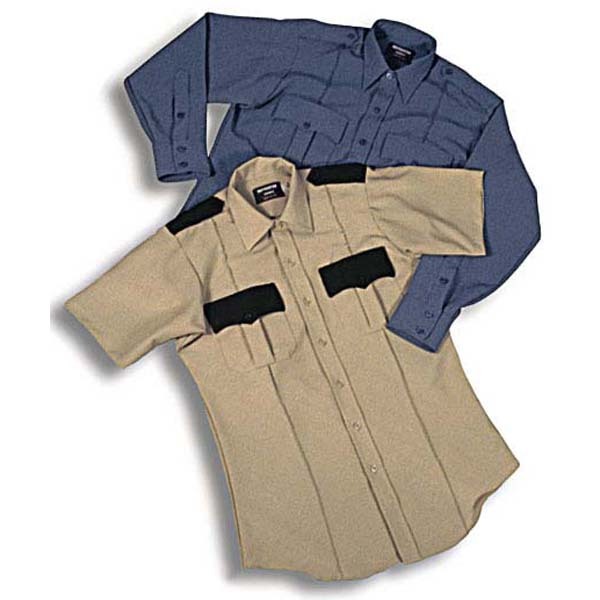 This dress wear shirt is USA made of 100% textured polyester for a neat, rugged, and durable finish. Featuring three sewn in creases down the back and one sewn in crease down each front panel, this shirt has a permanent press finish. 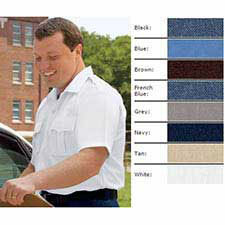 The scalloped pocket flaps are lined with 100% polyester and fasten with velcro. Other features include box pleated pockets with pencil pocket in the left pocket, sling badge tab, shoulder straps, form fit body, two-ply yoke, and a standard top center down front. This popular Code 9 shirt has the same features as the long sleeve except for a convertible collar and short sleeves.